It’s been a long time since I last posted and kindly beg your pardon! 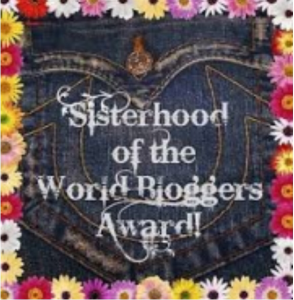 But now my friend, Susan Baganz tagged me, inviting me to join the Sisterhood of the World Bloggers. So, thank you, Susan, for nominating me to this fun challenge! 3. Answer the 10 questions sent to you. 1. It’s a new year. Do you make resolutions or do you do the ‘one word’ concept? Care to share what either of them are? No New Year’s resolutions, Susan. My success rate with those is miserable at best. Though I guess I’m attempting the one word concept: Obedience. A toughy for me. My parents must have had their hands full trying to raise me. (I could tell you stories of my goofy escapades.) It all started when I was a toddler and discovered if I wheeled my doll buggy to downtown Appleton, I’d get free candy from the kind candy store owner and ice cream from the nice policeman who took me home . . .
2. If you could revisit any time in history, where would you go? What is happening? The birth of our country in the late 1700’s. I have a strong love for this God-birthed nation and its amazing Constitution. Our forefathers didn’t get it 100% right when they buckled to pressure and retained slavery after heated debate. But other than that, they were on the right track. I would have liked to know those courageous patriots who loved God and sacrificed so much to bring the United States of America into being. I would have liked to be a part of that effort. Other than water and milk? Birely’s orange. 4. What’s your favorite social media? Facebook, Twitter, Google+ or something else. Why? I enjoy posting on my website and my Facebook page and responding to comments on both. I also enjoy commenting on others’ blogs and Facebook postings. 5. What is your favorite day/time of the week and why? I love early morning. All is fresh and new. I can catch a splendid sunrise and talk with the Lord as I read my Bible and pray. 6. If you listen to music as you write, what is it? Gospel music, especially the Gaither’s Homecoming DVDs. So happy and uplifting. So full of God’s truth about life and his saving grace. 7. It’s time to celebrate your birthday, what do you plan? I don’t. I just thank God for good health, loving family and friends, the joy of writing, and bringing me safely to “another year closer to heaven.” However, I also enjoy the joint family celebration with Mom and other family members (Ron, Mike, Mary Jo, and Macy) who have birthdays in October. 8. What is your most important role in life? Being an encourager in my personal relationships and in my writing. I do want others to know how wonderful life with the Lord is and how he means for everyone to enjoy a loving, personal relationship with him. 9. Are you a Princess or a Tomboy? A bit of both! LOL I loved climbing trees right up through the years when my boys were building tree houses in the backyard. I still love exploring a woods, trekking to a waterfall, or something similar. 10. 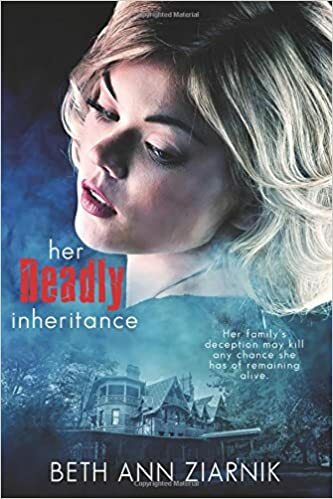 What kind of legacy do you hope to leave behind with your writing? A legacy of trusting God and doing my best to live true love–the kind of love that chooses to do the right thing no matter how hard the circumstances. The kind of love revealed–actually defined–in the Holy Bible’s 1 Corinthians 13. God didn’t leave us to guess what real love is. I appreciate that. Of all the pets you’ve had, which was your favorite and why? Would you say your life now is good? Why? Of all the places you’ve lived, which did you like the most? What’s your favorite memory of growing up? What event in your life has had the greatest impact on who you are today? What one word or phrase would you use to describe yourself right at this moment?